It’s 5:30am and I’m happy to be writing, because I’m saddened by the fact that it’s been four months since I wrote. I call myself a writer. I’m not writing. I’m sensing a problem here. 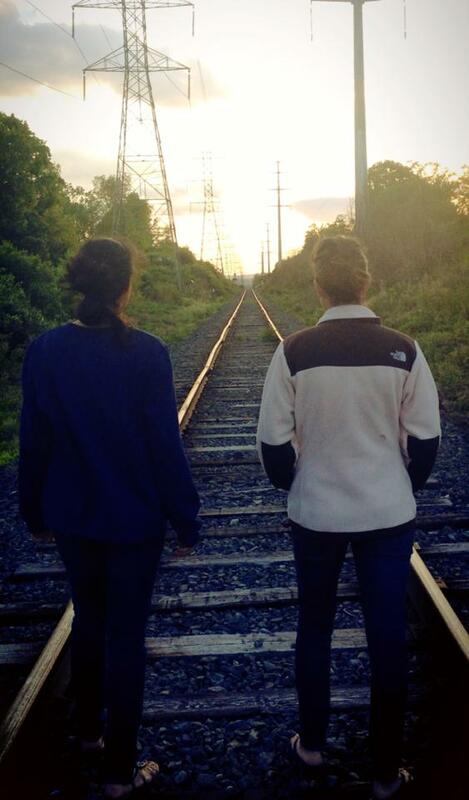 When you see train tracks, what comes to mind? I first think about the movie, Stand By Me, a classic from the 80’s. The boys start running for their lives, forcing Vern to his feet pushing him, screaming at him to run, to go, go, go. Even at his fastest, he is the slowest, and the train is inching closer and closer to him, threatening to swallow him up. 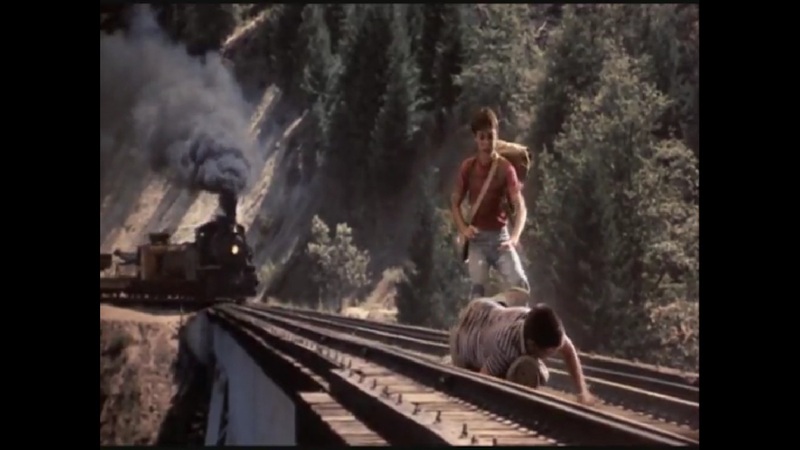 Eventually he gets close enough to level ground and jumps off the tracks, sending him tumbling through a ditch and rubble, as the boys run to his aid, making sure he didn’t just free-fall to his death. What I’m trying to say is, we are on the road of life. And that road will have the unexpected from time to time. We all have a little bit of Vern Tessio in us, but the question is, what part do you play? Are you paralyzed, sitting in the middle of the tracks unable to move? Or the one who begins to crawl, one step at a time, playing it safe, trying to make it across on your own time? Or are you the one to jump up and start sprinting for your life only when something is threatening to take it? How will you respond if you lose your job? What would you do if you lost a loved one? What would you say if someone close to you reveals a bomb-shell of a secret? How will you react to a bad diagnosis? Life is hard. There is absolutely no questioning that. How do we respond to those difficult moments? That’s the most important question, isn’t it? 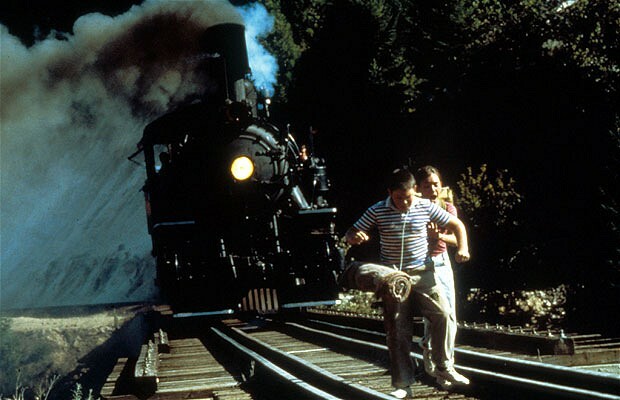 The train was threatening to derail Vern Tessio, to make him “abandon ship” and jump the tracks. The train was unexpected. The train wasn’t wanted. The train was still coming. And sometimes there’s nothing you can do to stop it. I really didn’t think we’d ever walk over the bridge. It was unexpected. It was in this moment where this scene popped into my head. My sister and I had been cracking jokes this whole time, quoting from the movie and others alike, like Fried Green Tomatoes. But once we actually began crossing the bridge, my joking stopped. I was TERRIFIED. I felt like Vern, letting a good 15-30 seconds go by before taking each step to the next track. Heart-pumping, legs shaky, I just wanted to get to the other side. Alive. Lucky for me, there was no train revving its engines behind me. Then I started to think, what would I have done if there was? I want to say I would have high-tailed it across that bridge, leaping like an Olympic long-jumper, never thinking about the human-sized holes between the tracks… I want to say that. Think about this world. There are billions of people in it. Billions. That’s a number we can barely comprehend. My world is small and finite. It’s a snippet of the history of this earth. So when there’s mornings where I don’t even want to get out of bed, when too many unexpected moments creep into my life, when all I want to do is freeze on the bridge and cry, I think of the billions of people out there, still taking each step, in flip-flops no less. None of the above asked for this. None of the above expected this. None of the above wanted this. Yet they continue to walk the tracks – one step at a time. Who am I to say I can’t too? This world is so broken, so evil, so incredibly horrible at times. Yet I’m seeing people all over the world, who have every right to jump the tracks with what they’ve been through, still crossing the bridge. This amazes me. This humbles me. This encourages me. It should encourage you too. The circumstances in our lives can cripple us with fear, anxiety, direst. It has for me many times over the years. I’ve responded to circumstances in my life wrong before. I’ve froze in the middle of the tracks, afraid to grow up, to move forward, to accept what was happening, to embrace change, to face the life that stood before me. It’s not easy. It never will be. I still have days where I long to just sleep the day away, ignoring life’s daily tasks. But I’m learning. I’m crossing bridges. We must cross over the bridges. We really have no other choice. The train is coming.